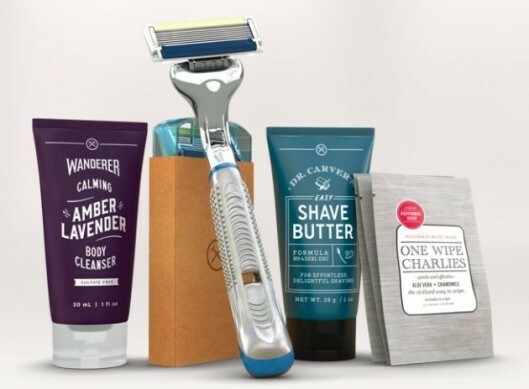 Get A 5-Piece Dollar Shave Club Starter Set For $5! I was kind of surprised when my husband asked me about joining Dollar Shave Club about a year ago, but I figured we’d give it a try. Turns out that he LOVES the flexibility it offers! And *I* love that there’s one less thing I have to remember to stock up on. The Dollar Shave Club Starter Set includes the executive razor handle, four 6-blade razor cartridges, a trial-sized shave butter (my husband adores this stuff!!! ), a trial-sized body cleanser, and three One Wipe Charlies packets — all for a low $5! Very good Starter set for $5! at shave club!